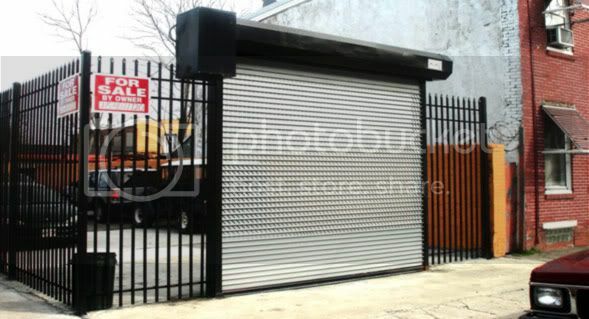 NYC Rolling Gates specialize in a lot of things, but clearly one of our specialties is Roll Up Doors and Gates. We’re also known for our high level of customer service in the 5 boroughs and Long Island. When it comes to choosing a rolling gates and roll up doors, we certainly have an enormous selection to choose from. We have a huge variety of rolling up doors styles to choose from. Call us today at 888-322-9035. We’re open day or night, ready to service you or answer any questions you may have. The Janus International Corporation Model 650 Mini Storage Door is designed and manufactured with durability, quick installation, ease of maintenance in mind. Standard features such as ratchet tensioner, enclosed barrel housing a dead axle assembly, and a factory installed stainless steel latch eliminate the need for upgrades and additional charges. The Model 1000 door is Janus’ newest offering for ease of installation. The Pre-Assembled Industrial Door (PAID) offers a push-up operation that comes with brackets and tensioner pre-assembled. The reduced drive chain hoist operation is delivered with brackets, tension, gears and chain drive pre-assembled. The Model 1000I door is the insulated version of Model 1000. This insulated door comes standard with side and top draft stop. The Model 2000 Standard Commercial Sheet Door offers special features for commercial installations. Model 2000 has the deepest guide engagement in the industry and universal fastening guides. With the Model 2000′s durability and low maintenance, this door is sure to have an unequaled quality and value. The Model 2000I door is the insulated version of Model 2000. Model 2500 is part of the Janus line of Heavy Duty Commercial Sheet Doors. It offers universal fastening guides and 12 gauge, 4 in. deep guides for larger door size openings. The greater curtain engagement feature is key for wider openings and makes Model 2500 an excellent selection. The Model 2500I door is the insulated version of Model 2500. The Janus Model 3000 is a non-certified wind lock door for larger, more demanding door applications. As a strong and durable alternative to other door types, this rolling sheet door offers many features at a great value. Engineered with performance and ease of maintenance in mind, the Model 3000 is one of the best values on the market. The Model 3000I door is the insulated version of Model 3000. The Janus model 650I is the insulated version of the Janus model 650.
that provides 24 hour emergency to Queens, Manhattan, The Bronx, Brooklyn, and Long Island. No matter the job, whether it be big or small, NYC Rolling Gates is up for it. Overhead garage doors from NYC Rolling Gates are among the most dependable in the country. You can have peace of mind knowing that we’ll be there — day or night, 365 days a year. Our home garage doors have also been proven to be durable and long lasting. When you end up choosing a residential overhead garage door from NYC Rolling Gates you’re doing a whole lot more than just making an investment. You are allowing us to be a part of your daily life and relying on us for you and your family’s safety, security and reliable operation. Sleek and very sophisticated garage doors. View the modern aluminum garage doors available for residential homes. Insulated steel construction made to resemble the elegant wood designs of traditional carriage house doors. Striking designs developed to enhance the look of your home and preserve nature. This Eco-friendly collection brings a fresh perspective with its distinctive raised panel and flush door designs. Premium insulated steel garage doors. A combination of distinctive, embossed look with smooth, quiet engineering and enhanced safety features. Combination of performance, durability and value. The Durafirm Collection™ features a vinyl skin, which minimizes maintenance, dents and rust. The Impression™ Collection features a fiberglass exterior that looks like real wood but requires none of the maintenance. Thanks to today’s technological advancements, getting power to something such as a gate site can be as easy as using a solar panel or even a deep cycle marine battery. If you use your gate 15 times a day or less and you don’t require a telephone entry system, then that means that a solar powered gate will be as efficient as 110 volt A.C. with only a 20 watt panel. Sometimes it is necessary to add more panels with multiple access controls or to even add accessories that draw power from batteries if you intend for the gate to open more than 15 times a day. Many of the swing gate openers that NYC Rolling Gates carries run from a battery which can be charged one of two ways: either by a solar panel or from electricity being run directly to the gate. Things such as slide gate openers run directly from a wired power source but will often times utilize the batteries as back up just in case there is a power outtage. 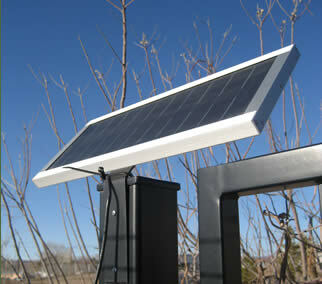 Aside from the easy installation and use of solar and power gates, there are other pros to having them. They are very “green” and environmentally friendly. Solar panels especially are by the most earth-friendly and not only that, but they last forever and will rarely require maintenance is installed correctly. We firmly believe that solar powered gates are the way of the future and will continue to increase in popularity as more and more people become more eco-conscious. Sure it’s possible to try and install a solar powered gate by yourself but it definitely isn’t easy. Why not let the professionals handle it and ensure that you and your home will continue to be safe no matter what. As a family business establishment we pride ourselves in achieving the highest personal goals when it comes to customer support and top range product selection. If you’d like to learn more and for details regarding power for a particular product, please visit us at NYCRollingGates.com or call us at 917-439-8428. We have a knowledgeable staff ready to assist and provide you with the information you need in order to make your decision. NYC Rolling Gates and Rolling Windows, located at 2210 Wallace Ave Bronx, NY 10467 has been servicing Manhattan, the Bronx, Queens, Brooklyn and Long Island for over 20 years now. The secret to our success? Quality work, reasonable estimates and cost, and unparalleled knowledge when it comes to everything concerning Rolling Gates, Rolling Windows, OverHead Doors, Roll up Doors, Garage Doors, and Fire Doors. We also do Window Installing, window repair, and windows gates. 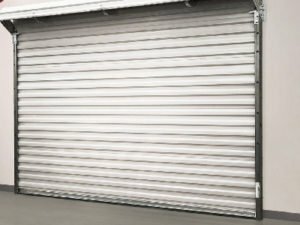 Now while most people associate Rolling gates and Rolling windows with businesses and storefronts, they actually can be used residentially as well. In addition to that, gates are not only crafted from metal, but wood and special vinyl as well. No matter what purpose or material you end up choosing for your home or business, you’ll be getting the very best service and the very highest grade materials. Open 24 hours a day, 365 days a year, NYC Rolling Gates is available for all types of jobs, big and small. Call us now at 917-439-8428 and deal with the best in the biz. Do you live in the Bronx and are you having trouble with your Rolling Gate or Roll up windows? Need help installing a garage door for your home or place of business? No matter the job, NYC Rolling gates handles everything from Rolling Gates, Rolling Windows, and overhead doors to Roll up Doors, Garage Doors, and Fire Doors. Our gates are weather-proof, fire-proof, and very easy to maintain in order to keep away the burglars and vandals. Available 24 hours a day, 7 days, a week, 365 days a year, we can be reached at 917-439-8428. Not only do we cater to the Bronx, but we also service Queens, Manhattan, Brooklyn, and Long Island as well. Our gate specialists have years of experience and are dedicated in providing our clients with the best possible service at a reasonable cost. No matter what you need repaired or installed, we at NYC Rolling Gates can do it! Deciding on the proper gate for your home or business can sometimes be a very tedious process. Because our products are not only made from metal but are also made from wood and special vinyl as well, it’s incredibly important that you find the right match for yourself. Things such as size also need to be taken into consideration so that’s also important when choosing the type of gate for your home or business. No matter what you end up deciding on, our NYC Rolling Gates products are built to last in addition to providing you with the security that you need. In addition to installing a plethora of rolling gates and window gates, we also specialize in repair them. No matter if it’s manual or electronic, we can fix it all. Be sure to call today and see why we’re the Bronx’s most recommend rolling gate and rolling window company. If there’s is one thing NYC Rolling Gates specialize in, its security for your home or business. We know everything concerning rolling gates, rolling windows, OverHead Doors, Roll up Doors, Garage Doors, Fire Doors, Windows Installing, Windows Repair, and Windows Gates. For over 2 decades we’ve been servicing not only Queens, but Manhattan, Bronx, and Long Island as well. It doesn’t matter whether it’s for your home or for your business, NYC Rolling Gates can give you the security and protection you need, to put your mind at ease. You can choose from not only metal gates and doors, but wooden and special vinyl as well, depending on the type of establishment. Live in Brooklyn and need security for your home or business? Lucky for you NYC Rolling Gates are here to help! We specialize in Rolling Gates, Rolling Windows, Overhead doors, Roll up Doors, Garage Doors, and Fire Doors. In addition to that, we also do Window Installation, window repair, and windows gates. People often wonder how we’ve managed to stay at the top for so long. The answer is simple: unparalleled knowledge and efficiency. Also the fact that we’ve been around for over 20 years catering to Brooklyn also helps. We will never surprise you hidden fees or costs and our rates are always reasonable. We’re open 24 hours a day 7 days a week, and may be reached at 917-439-8428. Aside from installations we also do repairs on every type of rolling door, rolling gate, overhead door or gate. We handle both residential and commercial locations. Brooklyn, NY: Bay Ridge, Bed Sty, Bedford-Stuyvesant, Bensonhurst, Bergen Beach, Boerum Hill, Boro Park, Brighton Beach, Brooklyn Heights, Brownsville, Bushwick, Canarsie, Carroll Gardens, City Line, Clinton Hill, Cobble Hill, Coney Island, Crown Heights, Cypress Hill, Ditmas Park, Dyker Heights, East Flatbush, East New York, East Williamsburg, Eastern Parkway, Emmons, Flatbush, Flatlands, Fort Greene, Georgetown, Gerritsen Beach, Gravesend, Greenpoint, Highland Park, Homecrest, Kensington, Lefferts Gardens, Madison, Manhattan Beach, Marine Park, Midwood, Mill Basin, Ocean Hill, Ocean Pkwy, Old Mill Basin, Park Slope, Parkville, Prospect Heights, Red Hook, Ridgewood, Seagate, Sheepshead Bay, South Brooklyn, Spring Creek, Starrett City, Stuyvesant Heights, Sunset Park, Williamsburg, Windsor Terrace.